Again MTN is proving itself as a friend indeed for its numerous subscribers, by being their friend in need. If you have befriended MTN network for three good months, it goes without saying that MTN should replicate its friendship for you by borrowing you from what it is selling, basically airtime and data. So, following the introduction of MTN XtraTime comes the MTN XtraByte. So I am talking about MTN XtraByte. Read on to learn how you can buy data on credit from MTN. Actually, the whole idea is that you can borrow data via the newly introduced MTN XtraByte. I'm taking you through this because I find it quite noble. 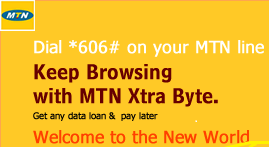 MTN XtraByte is a data service version of MTN XtraTime. I’m sure you are still fascinated by the MTN XtraTime through which you can borrow airtime from MTN in case you helplessly ran out of airtime. If you exhaust all the byte on your data plan and you are unable to subscribe immediately and have to continue with your download, upload, reading, filling the form or doing whatever is it you are in the middle of via your smartphone or your laptop, then MTN XtraByte is the service MTN just introduced for you to quickly get your data, if you are eligible for it. Yes, let's talk about eligibility first. If you are in doubt about your eligibility, or you want to be double sure you are eligible for MTN XtraByte, dial your MTN SIM’s USSD code and then *606#. From the options that will come up, select 1. Then you will be respectively advised about your eligibility. Have you tried that? And you’re eligible for the service? Okay, let’s talk about how to go about the borrowing per se. Earlier you have dialed *606#. This time you will select option “2” which takes you to MTN XtraByte service. After that, you will be greeted by the bouquets of choices, one of which will surely match your need. However, you will have to think, at least, twice before you choose. I have them tabulated below for your easier perusal. 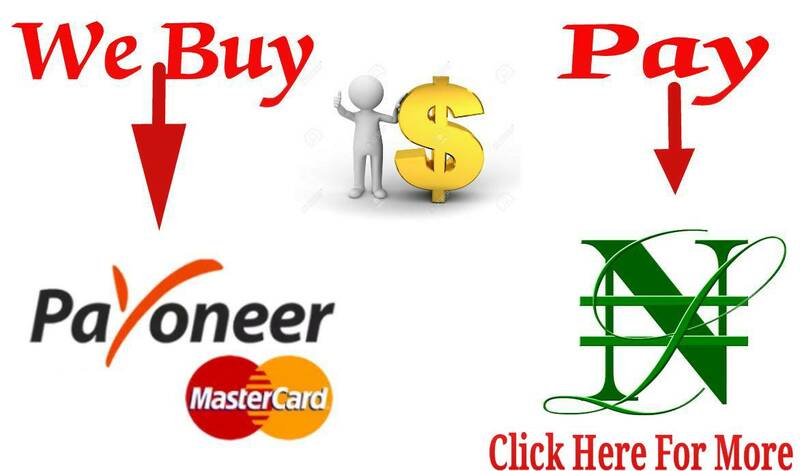 Your credit limit for the particular month determines the volume of data you will be able to buy on credit. And your credit limit is tagged to the amount of your recharge in that month. 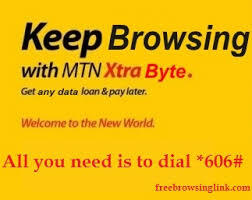 If you are eligible for MTN XtraByte, you can be allowed to borrow data even if you are yet to settle your loan on MTN XtraTime, in as much as you are still within your credit limit. That means, if you borrowed MTN airtime 2 days ago and you have not recharged your account, you will still be allowed to borrow data today if you need to. The next time you recharge, the amount you borrowed will first be deducted in airtime value first before any remaining balance can be converted to the airtime or data as the case may be. 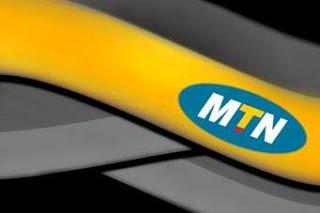 The settlement of MTN XtraByte borrowing is essentially the same as that of MTN XtraTime. To illustrate, let’s say the volume of the data you borrowed on MTN XtraByte is valued at ₦200. And at your next recharge, you bought ₦400 worth of airtime. By the time you check your account balance minutes later, the ₦200 for the data you borrowed on XtraByte will have been deducted, you will have ₦200 only in your account. With that, your debt has been fully settled. But let’s say your XtraByte outstanding is ₦300 and you recharged your account with ₦200, on your next recharge the balance of ₦100 will still be deducted. I think MTN XtraByte is cool. Isn’t it? Or what do you think? See also, how to borrow data on Glo.